Want to convince your boss to let you work from home? Usually, it's not as simple as just asking (although sometimes it is!) You can strengthen your case for becoming a telecommuter with a little insight: Learn more about your employer's policies and goals as well as your value to the company as an employee. Here's how. 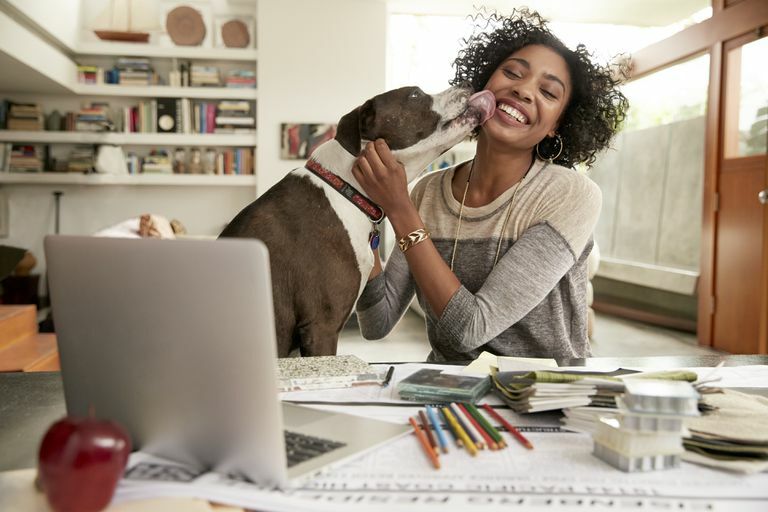 The first thing you should know if you've never worked from home before is that telecommuting has awesome benefits but it's not for everyone. There are many pros and cons to telecommuting. That said, if you want to give it a try, start with the basics below. Check the employee manual. If there's an existing remote work policy, then your chances of success are good. You can use the information provided to make your case in your remote work proposal. If there's no written information but some of your co-workers currently have flexible work arrangements, ask them for advice on proceeding. They'll have the inside scoop on how easy it was to negotiate the work arrangement and how it's working out for them. Don't worry if no one ever has established a flexible work schedule or remote work agreement at the company, though. You can be the first! Because your supervisor's support and approval will be key to getting your request granted, you've got a leg up if you are an established employee whom your supervisor trusts and values. Make sure you maintain that respect and continue to make yourself invaluable to the company. Gather past employee evaluations that had positive comments related to critical telecommuting traits, such as initiative, ability to work without supervision, and communication skills. If you are a new hire, think about past experience at other companies that prove your ability to telecommute productively, such as occasionally working while traveling for work or working from home when needed on the weekends. If you don't have past remote work experience, perhaps delay the request, however, until you've developed a strong rapport with your supervisor and proven yourself invaluable to the company. Look at the company's mission statements, website description, and other materials to see how they present themselves. If they say they care about their employees' well-being or are innovative/progressive companies of today, you can use these "branding statements" in your proposal. Also, consider whether the company is looking to cut costs or have had issues in the past retaining valuable staff members. Make sure you underscore the advantages of telecommuting for the employer in your remote work proposal. Once you've got this information gathered, you're ready to negotiate and hopefully convince your boss to let you work from home.